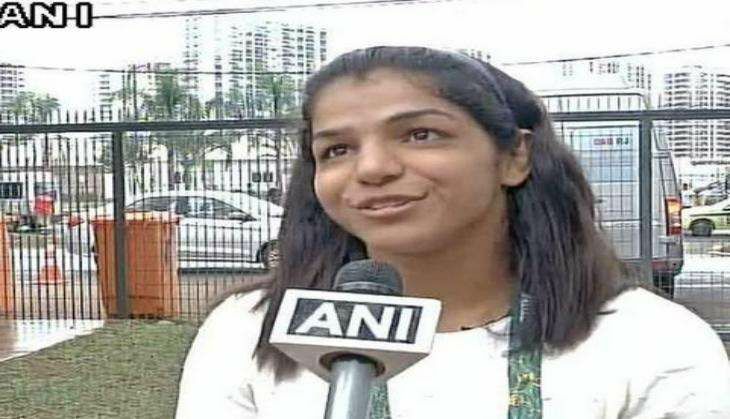 Asserting that she was thrilled beyond words on being recommended for the prestigious Khel Ratna award, bronze medallist Indian wrestler Sakshi Malik said that she was overjoyed about the possibility of joining the ranks of Sachin Tendulkar and Leander Paes, who had made the nation proud. Sakshi said that the realisation of what she had achieved, took a while to sink in. "I am really honoured to be considered for this award. I had expected an Arjuna award after my achievement, but to get recommended for a Khel Ratna straight away is just fantastic news. When I was a child I use to hear the names of Sachin Tendulkar and Leander Paes being bestowed with the honour and I would wonder if I would ever be in their place and make my country proud. Now that the moment has come, I'm thrilled that I'm joining the ranks of the greats," she said. Talking about her coach Kuldeep Singh being possibly recommended for the Dronacharya award, Malik stated that he deserved the honour in every way, as he was responsible for her success at Rio. Meanwhile, the Haryana Government has announced a reward of Rs. 2.5 crores and a government job for Sakshi. Yesterday, the Delhi Government also announced a cash prize of Rs 1 crore and offered a promotion to Sakshi's father who works in Delhi Transport Corporation (DTC). With the win, 23-year-old Sakshi became the fourth Indian woman athlete to win an Olympic medal after Karnam Malleshwari, Mary Kom and Saina Nehwal. She also became the fourth Indian wrestler to win a medal in Olympics after Khashaba Dadasaheb Jadhav, two-time Olympic medallist Sushil Kumar and Yogeshwar Dutt.